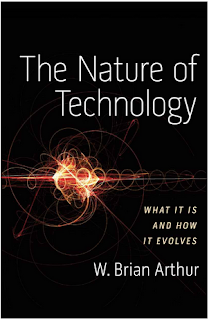 I've just finished a book called 'The Nature of Technology' by W Brian Arthur. It's an interesting read and unexpectedly sparked some thoughts about how we perceive the nature of the church. 'The Nature of Technology: What It Is and How It Evolves' examines technology as a subject. It goes way beyond any other treatments of technology that I've read. 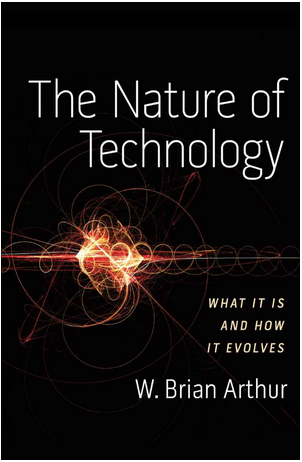 There are many books about particular technologies (the steam engine, the computer, molecular engineering) but Brian Arthur has analysed the nature of technology itself. Towards the end of the book, Professor Arthur discusses our ambivalent attitudes towards technology. At one time technology was seen to bring order and was regarded as almost heroic. In the time of Descartes we began to interpret the world in terms of the perceived qualities of technology: its mechanical linkages, its formal order, its motive power, its simple geometry, its clean surfaces, its beautiful clockwork exactness. These qualities have projected themselves on culture and thought as ideals to be used for explanation and emulation. Our interpretation of the world is ... becoming more open and organic; and ... technology has a part in this shift. ... Not only is our understanding of the economy changing to reflect a more open, organic view. Our interpretation of the world is also becoming more open and organic; and again technology has a part in this shift. Interestingly, I think we can see the same trend in our attitude to church life. In Victorian times church was highly structured and hierarchical. Clergy (at least the better ones) worked hard to create learned, reasoned sermons, missions were like well-oiled machines. Military precision was applied to the task of meeting social need; the Salvation Army and the Church Army went so far as to adopt military-style uniforms as well as military names and ranks. But by the 1960s there were early signs of change as some people began experimenting with informal, organic, more flexible ways of meeting. The home environment and smaller groups were popular on the developing fringes of church. This trend has accelerated during the last five decades as George Barna's recent statistics show very clearly in the USA. But the trend is affecting church life in many other parts of the world too. 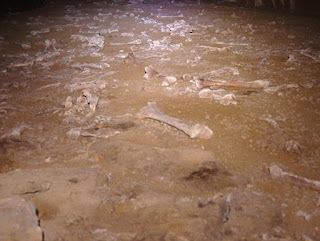 ... we are now aware that as mechanisms become interconnected and complicated, the worlds they reveal are complex. They are open, evolving, and yield emergent properties that are not predictable from their parts. The view we are moving to is no longer one of pure order. It is one of wholeness, an organic wholeness, and imperfection. That final sentence seems very relevant to church life in 2011 - 'an organic wholeness' coexisting with the imperfect. Perfection is in Christ, and Christ in us. Without him there is no perfection - not in me nor in us corporately. And quoting again. We are replacing our image of perfection with an image of wholeness, and within that wholeness a messy vitality. This shift in thinking has more to do with the influence of evolutionary biology and the exhaustion of the simple mechanistic view than with any influence from modern technology. But it is reinforced nonetheless by the qualities of modern technology: its connectedness, its adaptiveness, its tendency to evolve, its organic quality. And reading about the early church in Acts, and even the embryonic 'church' during Jesus' lifetime, we can see an absence of perfection but a very clear 'messy vitality'. Perhaps it's also true to say that we have exhausted simple, mechanistic approaches to being church. Maybe the words connectedness, adaptiveness, and organic are very suitable ones to apply to church today. Hasn't this been true historically? We have tried to force the world into our mould. But that doesn't work; it cannot work. We had better learn to fit ourselves to the world instead. Isn't that what Jesus did, and the early church? 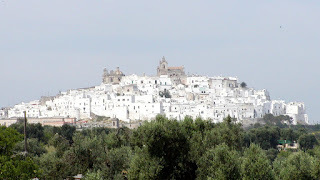 Jesus was always relevant to people in their ordinary lives - fishermen, tax collectors, adulterers, foreigners, farmers, bridegrooms who'd ordered insufficient wine, the hungry, the sick, even Roman officers. This was in stark contrast with the stuffy, arcane, restrictive teachings of the religious establishment at that time. The church is sometimes likened to an army. Armies require leaders, but they also require initiative from the troops. When Germany decided to invade France during the Second World War, their mechanised forces and mobile infantry swept across the border and cleared major obstacles like the River Meuse very quickly. The French (and to some degree the British too) responded sluggishly and without flair. Because of this they lost the battle and northern France was quickly occupied. The underlying reasons are interesting. They are relevant to church life, we can learn something useful from military history. Organising an army - I've been reading 'The Battle of Britain' by James Holland. He explains that the French system didn't train the troops to use initiative. They were merely expected to obey orders. A plan would be created for the coming battle and orders were passed down the hierarchy. Everyone had detailed instructions to follow. 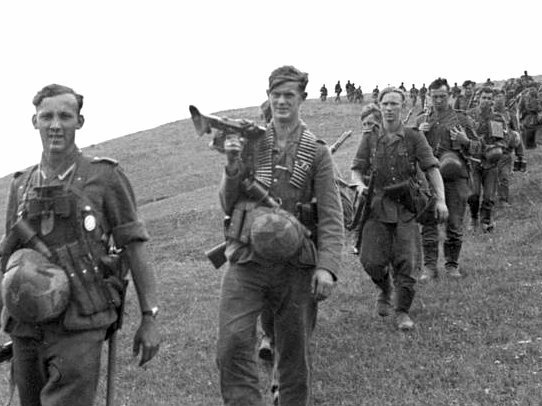 In contrast the German army gave people objectives and expected them to use whatever method they wished. A small group of infantry might be told to take out a bunker and would decide for themselves how to go about this task using whatever resources were available. Both methods work well if everything goes to plan. But in battle things rarely go to plan! When it's necessary to respond to a changing situation the German approach works far better than the French system. Organising the church - In the church, we should expect Jesus to guide us and provide us with objectives. But we should also understand that he expects us to use our initiative. He doesn't want to micromanage us, rather he wants us to become familiar with some guiding principles and use them to achieve the objectives he gives us. The guiding principles include such things as love, gentleness, grace, humility and patience. The Holy Spirit (the Spirit of Christ) will show us what needs to be done as and when we need to know. Sometimes his guidance will be very specific, but often he will expect us to achieve an end without giving us the specifics. He uses the two together as required. For example, 'Make disciples', is a command but we have to work out how to achieve it. Sometimes he might tell us to speak to a particular person or share a particular story or do something practical or pray for healing. But in general we know we need to patiently love and pray people into the Kingdom. How does this work out in your own experience?